Written by Todd Wilkens on December 27, 2016 Blog. 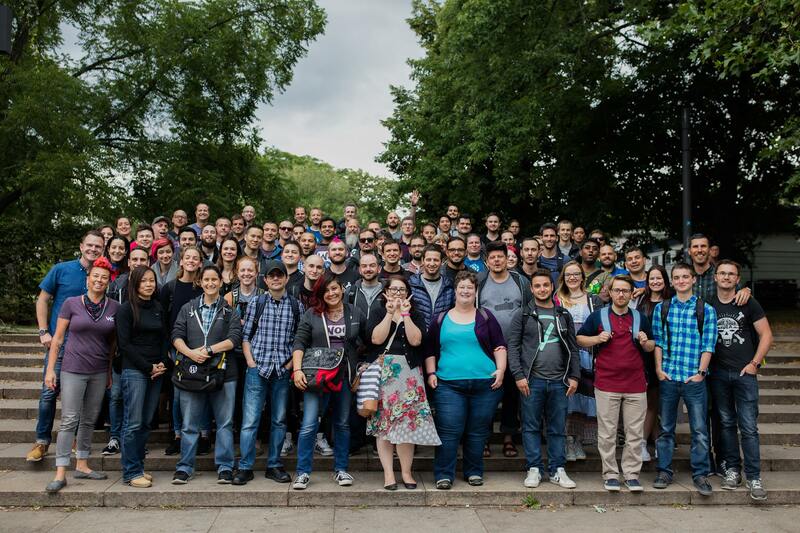 To every user, customer, and Open Source community contributor out there: WooCommerce exists for and because of you. It’s because of you that the most-used eCommerce platform for WordPress and, therefore, the most widely used eCommerce platform in the world exists. Thank you! The end of the year is near, and it’s a time for reflecting. Read on for thoughts on the year gone by, what worked and what didn’t, and what we’re excited about for 2017. The Woo team in Berlin in July, we had a woo-nderful time. WooCommerce now powers nearly 40% of all online stores with over 1,7m active sites. That means millions of amazing people have benefited from the power and flexibility of WooCommerce to start, grow, and maintain their online business. We’ve been able to do this together, forever stronger because of our open source roots. To be honest, we got a bit overwhelmed by our own growth and diverse customer base this past year. It created challenges trying to please everyone in everything we did across product, marketing, and support. We also probably spent a little too much time and attention on our competitors and that distracted us from our users and the core of what WooCommerce really excels at. WooCommerce was never meant to be a platform for making very simple websites with a little bit of store functionality, our focus has always been putting power, flexibility, and choice in the hands of anyone who has an idea for an online business. We believe wholeheartedly that WordPress and the ecosystem of amazing people who build it are the best ones to support entrepreneurs by continuing to provide an open source platform for making your ideas a reality. Plus all of the extensions, themes, and services (paid and premium) that make WooCommerce come alive. Core improvements for our store owners including a new tax rates UI, shipping zones, a tabbed “My Account” screen, an AJAX-powered cart experience, and lots of performance optimizations. For our devs we introduced WooCommerce CLI, a new sessions database table, and migrated the WooCommerce API (WC-API) to be powered by WP-API’s infrastructure. We launched Storefront 2.0 and Storefront Powerpack for all Storefront users, to help make their stores even more beautiful. We launched Product Bundles 5.0 with improved pricing and shipping flexibility and stock reporting, among other things. We launched Subscriptions 2.1 with improvements in reporting, payment recovery/retry, and new email subscriptions, among other things. We launched an integration with Square POS, and several other extensions this year (Dropshipping, for example). And the Woo team now numbers 90 people, with half of that working in user support. Small to medium-sized businesses power the world economy. They do more to lift people out of poverty, stabilize societies, and provide a better life for a person’s children than any singe government or aid organization ever could. We are committed to empowering small businesses to start, grow, and flourish. Running a business gives people hope and freedom, and we are committed to empowering this. That commitment to freedom, choice, and flexibility means we remain deeply committed to Open Source. This is also why WooCommerce joining Automattic has been such a success, the values and missions of our teams are perfectly aligned. 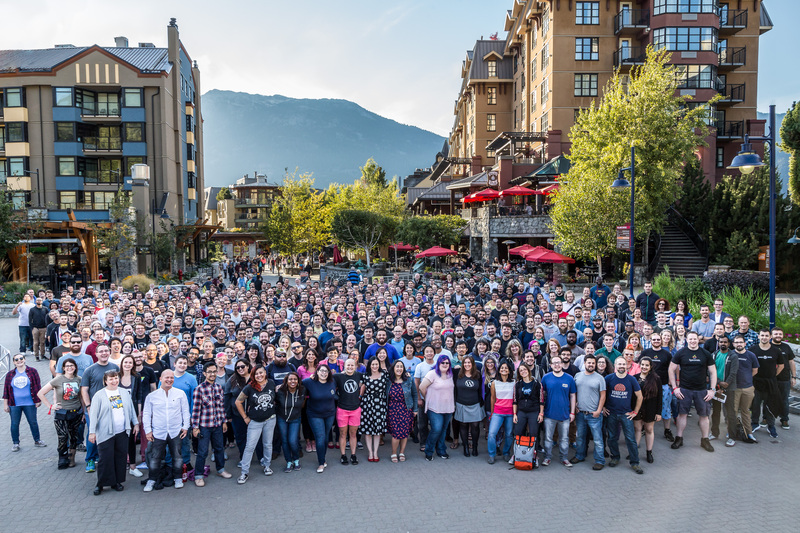 Learn more about what Automattic as a whole has been up to. Our new shipping service is the first of many cloud-based, SaaS offerings to come. A new, modern UI based on Calypso available to all WooCommerce sites via Jetpack. Partnering with WordPress.com to offer a hosted and managed version of WooCommerce. 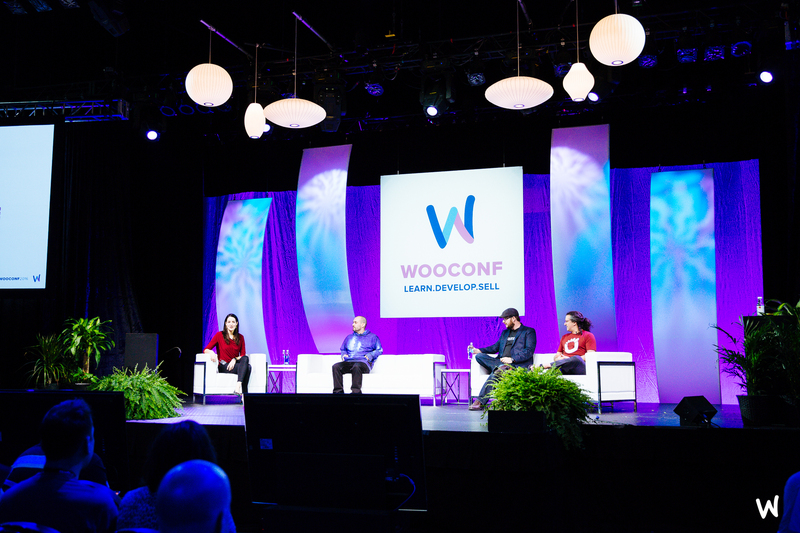 Our third WooConf is pegged for Q3, focused on serving store builders / developers. Watch out for WooCommerce 2.7, the new Shipping service, and a new WooCommerce developer experience all coming in Q1. More focus on user experience in everything we make from WooCommerce.com to the core platform to the APIs and developer experience. More leveraging of our historical strength in Theming to provide an easier and quicker ramp up to a basic, beautiful digital storefront. Making the extension marketplace more useful and easier to use. Talking to more users! Y’all know best. I’m excited to be on board here at WooCommerce. This team is amazing and we are on a mission to empower online business people of all kinds. Thanks for being part of our community and giving us the chance to serve you this year and, hopefully, many more to come. It’s been 4th year since I started off recommending WooCommerce to everyone who needed a store. To be candid, I breathe Woo day-in-day-out and am happy to spend rest of my life mapping exciting businesses with that of WooCommerce. Thanks to everyone at WooCommerce for giving me a purpose to believe in myself. Could you suggest Woocommerce implementation professionals specializing in small business? Thank you and best wishes for 2017. No words about the future of Canvas ? Glad to see business is booming, but sad to see that making your add-on products more affordable is not on your to-do list. A basic site with a couple real-time shipping plugins and a credit card processing plug in puts the total cost higher than some other solutions and definitely makes it harder for the smaller shops to afford. I do appreciate all the work that goes into WC and I thank you for it. I am a great Fan. How can I subscribe to your newsletter? I have always experimented with Woocomerce in a development . Now I am rolling it out in production as my online market place kicks to life in the first week of 2017. I have so much confidence in what Woocommerce is going to enable me do. 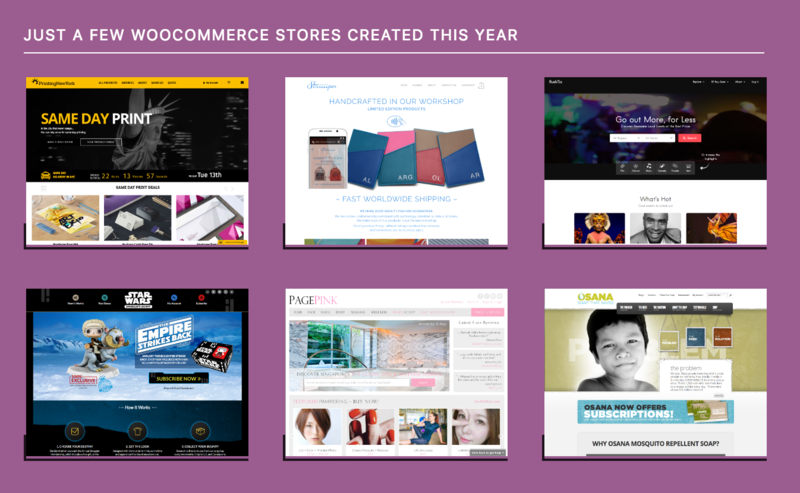 Amazing 2016 year for us with woocommerce. We build entire Mobile ecosystem on top of open woocommerce. We created consumer app, vender mobile app, admin app, catalog app and marketplace app. We have mission to automate mobile system of woocommerce merchants. We want to focus with them on our mobile strength. Thank woo for open ecosystem. Congrats! Would love to see a membership program that allows to download multiple plugins at a discounted price. Like Scott N said before me, the more you use Woo the more need you find for plugins and it adds up to be quite expensive . Thanks! We’ve just started experimenting with bundles, like this one for Membership sites. Were building our online store and from the beginning I wanted to go with Neto or Shopify , but my developer said open source is the best option. Even though I think it would have been quicker, I get what you are doing and I think it’s great , it’s like Samsung and Apple , I choose Samsung because to me it’s open source. Another reason I stay is your customer service , your team have been fantastic in assisting my developer and me the not so technically minded. We’re nearly there and the site should be good to go in 4-6 weeks , the real achievement is were building it exactly how we want it to look and operate. I too have been using woocommerce for all of my stores (formerly used X-cart a lot). I like it and the flexibility with the extensions, but want to also chime in that the extensions are way too expensive. Something like Printing Invoice and Packing Lists should be a core feature, not a $100 add on. Or maybe make it $19, since I understand developers need to make money. Because the cart is so popular, selling LOTS of copies of plugins at lower prices would generate lots of revenue. If the official plugins were not so expensive, then I bet people would not look for cheaper options on Code Canyon, etc. and you would end up selling MORE and net more revenue by dropping prices by at least half. Well said, kwdesigns! I agree about how the high cost of extensions drive the cost out of range for smaller businesses –especially if they are in the start-up phase… Please consider bringing those prices down, Woo! Yes, can be high for start-ups. We have a lot of start-ups working with us and cost is a major factor for everything. Good progress. I have been using Woo for 5-6 years and glad I did after being frustrated with other WP e-commerce options. I agree with the others that your plugin library is really the painpoint for site owners rounding out sites correctly, I have to resort to unofficial ones that do not have costly yearly subscriptions attached to them. I’m not used to working with Woocommerce because I normally develop on the Genesis Framework and use Boostrap for my columns. I am disappointed that your support does not cover helpful instruction in the best way to apply minor adjustments. This is compounded by the fact that your support forum is no longer active! This is particularity frustrating because of the fact that we must pay a yearly subscription fee for support and updates. I really like Automatic, but when I’m paying top dollar for themes and extensions, I would expect to have a more robust support, like the support that I do receive from other subscription based services. I do most of my own development and only need advice from time to time. I agree with you the documentation on this really could be improved its a barrier for developer uptake. Thanks Louie171 for the link. I think that WooCommerce could learn a thing or two from the folks over at SitePoint. Check out the comprehesive clarity of their FAQ’s page https://www.sitepoint.com/community/faq. It’s exemplary! What they offer is much more in the spirit of an open-source model. It generates profit for their business and profits the user with an extensive and easy to access knowledge base. They have a very good user forum with an optional, premium membership/support subscription. I’ve have not had a great experience with Storefront, or the Child-Theme Pharmacy. The updates actually screwed up the styling of my site. Once the subscription ends in March, I will either use the free Sitepoint Starter theme or go with a Bootstrap 3 Starter Theme. Of course, I will keep the WooCommerce Shopping Cart, but I’ve all but given up on their themes and expensive, quirky modulations! How TO subscribe your newsletter ? Is it right that a customer that requires support for a $299 Woocommerce Extension appears to get the same level of support as someone that has a Free Woocommerce account (with no premium extensions)? This is really an awesome year which i too had. I have learnt may new things from you people. It is my pleasure to thank you guys. You always rocks with new concepts which helped me alot. Hope for Best and Better year this 2017 for you and all. We want some more awesome concepts to learn from you. Thanks once again.